Check out the latest ICC test cricket rankings. Having comprehensively walked their way to an unprecedented test series victory in India to become the first side from the country to win a test series in the country saw India consolidate their spot at the top of the ICC test cricket rankings released by the International Cricket Council. With a 2-1 series win against Australia in Australia under their kitty, India sits outrightly at the helm with 116 rating points, 6 ahead of second-placed South Africa. 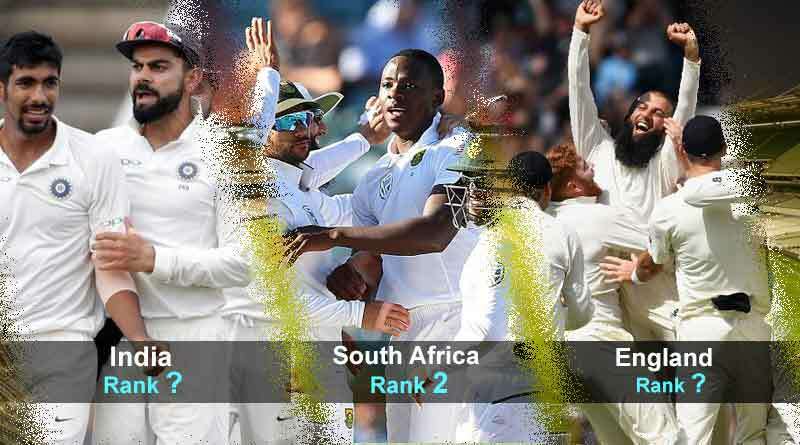 The latest ICC test cricket rankings, released by the ICC after the culmination of South Africa’s third and final test match against Pakistan saw south African strengthen their hold on the second placed spot as well after a riveting 3-0 series sweep against Pakistan. The Indians supremacy in the longest, oldest and toughest format of the game was further established with the mercurial Virat Kohli staying on top of the batting charts with 922 points. Following him close behind is New Zealand’s captain, Kane Williamson, with 897 points after he enjoyed a rich haul of runs against Sri Lanka. Meanwhile, the player of the series in Australia vs India test series, Cheteshwar Pujara who scored a whopping 521 runs to become the standout performer in the series and one of the main reasons for India’s series triumph continued to stay in the third spot, a position he has acquired only recently on the back of his resounding showings with the bat. The top 10 sees two batsmen each from India, South Africa, England and New Zealand with the remaining two spots been occupied by English and Sri Lankan batsmen. In the bowling charts, Jasprit Bumrah who played a major role in India’s golden series win, made major strides to climb up the charts to the 15th position with 711 points. 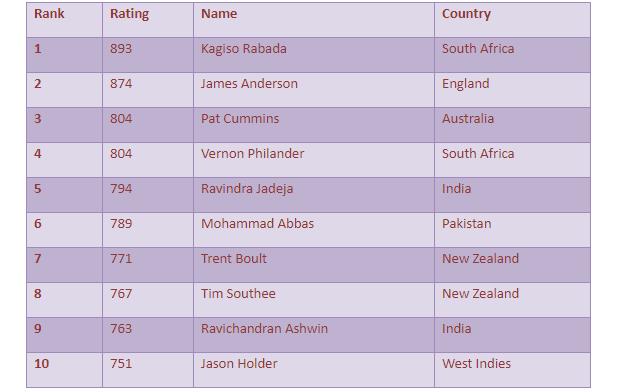 Ravindra Jadeja remains the highest ranked Indian in the list, coming in at the 5th spot. The focus now shifts to England vs West Indies and Australia vs Sri Lanka test series which can see the home nations make massive strides in the table if they can churn out the necessary results. England, who will take on West Indies in a three-match series next, will have to win the series to maintain their third spot in the rankings with the added bonus of a 3-0 win taking them to 109 points behind South Africa and India. In the other series starting from Thursday, Australia will take on Sri Lanka which can see Australia gaining two points and Sri Lanka slipping three if the hosts win the series 2-0. Despite the outcome of this series, neither side can be displaced from their fifth and sixth position in the table. Table toppers India meanwhile have no further opportunity to further cement their place at the top until after the world cup in July when they’ll play their first test match after a break of over six months. They are currently set to begin an ODI series in New Zealand where they’ll contest a 5-match series, followed by a three-match T20 series.